Good Friday to all! I'm sure most of you are as pumped for the weekend as I am. Anything fun planned? 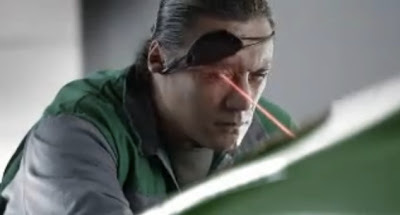 To kick off your weekend I bring to you a X-Men'esque ad for Skoda. According to this spot, all Skoda cars are built through some bad arse machinery (as seen by the laser above). Never driven a Skoda myself, but from this ad it appears I should be! What do you guys think? Anyways, I hope everyone has a great weekend and look out for more great posts next week!